Le Bonheur is in France's sunny south-west Aquitaine area, in between Bordeaux and Bergerac and is perfectly situated on the borders of Gironde, Dordogne and Lot & Garonne - ideal for exploring this beautiful part of France. It is far enough south to get the benefits of the warm climate of SW France, and yet is within striking distance from UK in one day's driving. However, if you have the time, a night stop on the way down from the Channel ports can be a delight. A night stop in the old part of Rouen is a lovely experience and of course Paris if you have the time, although the traffic can get very busy in the Summer months. 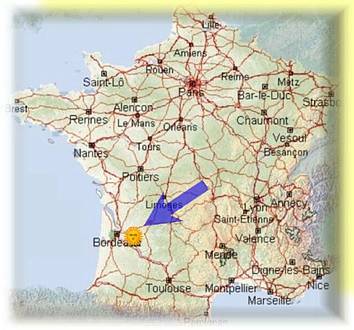 The French Autoroutes are excellent for speed, ease and simplicity, but of course have toll charges on the major sections and can get busy at peak seasons and peak times. If you have the time, a lovely way down is via the Route National (RN) system, the equivalent to British ‘A’ roads. If you can spare a couple of days to wind your way down sightseeing, there are countless options open to you. A stop in Paris or Rouen is a pleasure for a single night stop or a cheeky lunch break in the old part of Tours. The RNs are reasonably direct, more scenic than the Autoroutes, but go through towns so can be very slow going. If you wish to get there in one go or as quickly as possible, you must use the Autoroutes. If you plan to night stop en-route, there are plenty of accommodation options on the internet, from the very cheap to the exclusive. 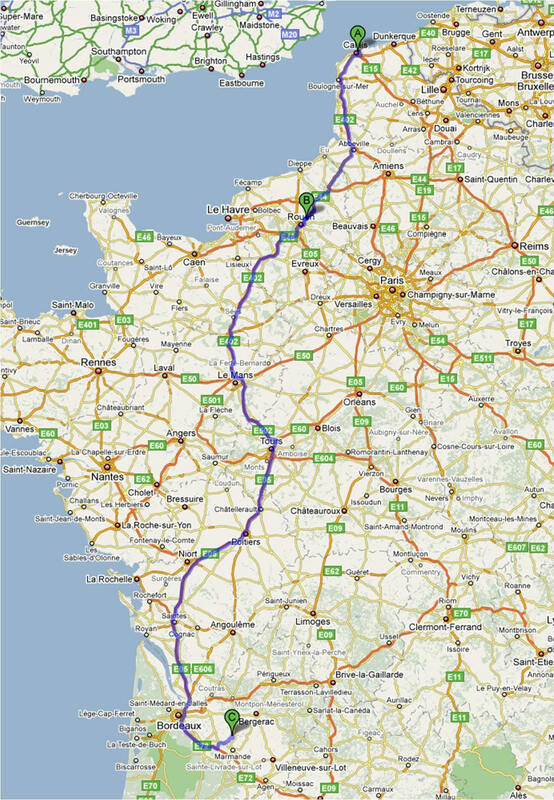 Route 1 - The simplest route from Calais is ‘Route 1’ via Rouen and Bordeaux. This will avoid the tolls and traffic through Paris and is quite scenic, especially the early part. Route 2 (recommended) - As Route 1, but the Southern portion goes direct south instead of via Bordeaux, so is shorter and has less Tolls. ‘Route 2’ breaks off at Poitiers and goes the direct route via Angoulême, Saint Foy Le Grande and Duras. It can be slower, especially at peak periods, but does have lots of dual-carriageway sections and is the recommended route if going in one-hop or a night stop in the beautiful old town of Rouen, as you hit the southern slower roads fairly late in the day. Route 3 – Via Paris. You might find that Google Maps, Bing, Autoroute etc send you via Paris. This is an option, but can get congested, is fairly complicated, costs more in Tolls and is marginally longer. 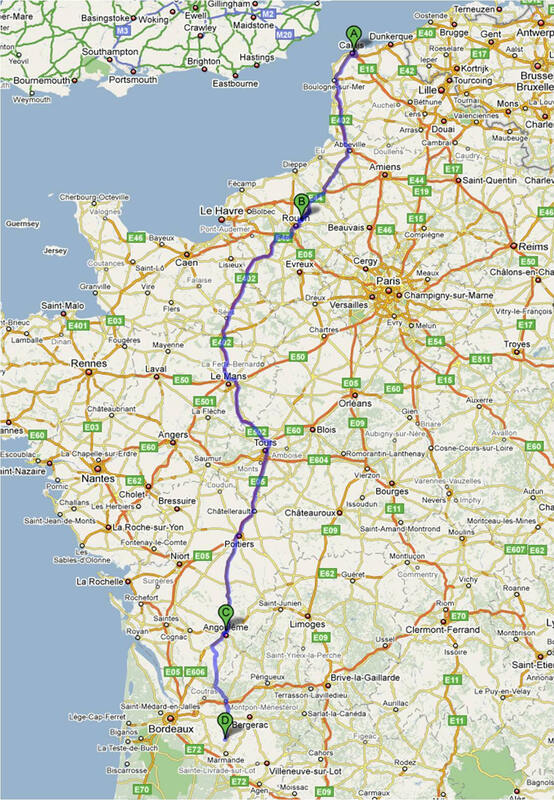 Unless you are using Paris as a stop (which of course is highly recommended if you have the time), it is recommended you avoid Paris and go the Rouen route. 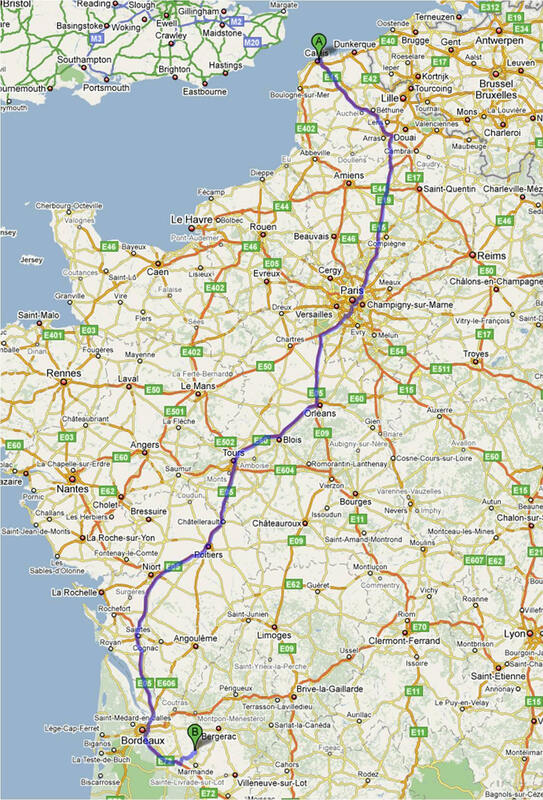 The southern portion can again be via Bordeaux (as Route 1) or Angoulême (as Route 2). Other Routes - There are a multitude of other options, especially if you wish to take your time, use the RN roads and take one or more night-stops. Rouen and Tours old-towns are worth a visit en-route. 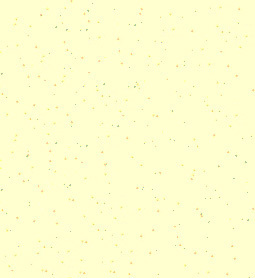 Detailed directions will be sent to you with the fully detailed "Le Bonheur Housebook" before you travel. By Air - The Options Many airlines fly to the region, including the cheaper ‘Budget’ airlines and the bigger branded carriers. 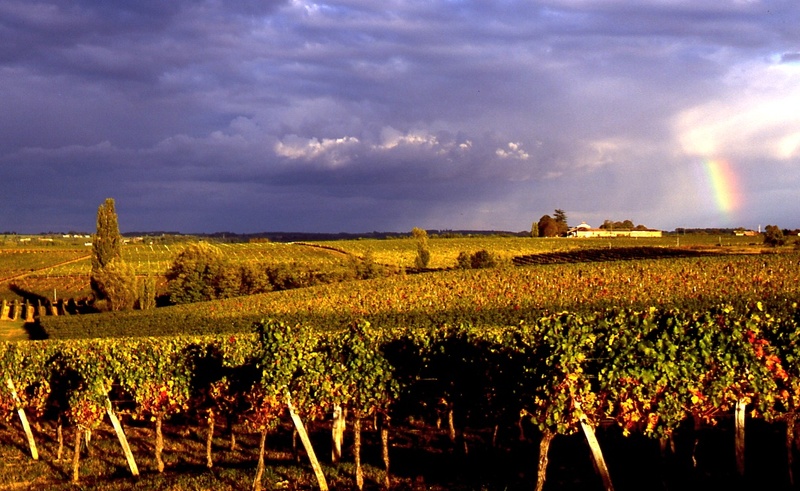 The closest airport is Bergerac, followed by Bordeaux, then Toulouse. 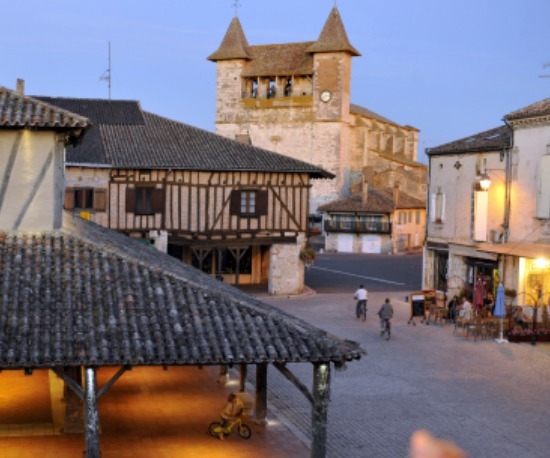 Other destinations are also possible, such as Carcassonne, Pau and Biarritz, but I would recommend you try and use one of the main 3 above, unless of course you wish to combine with a day out or better still night stop - Carcassonne is lovely for a night stop. Ryan Air: Bergerac from Stanstead, East Midlands, Bristol, Liverpool. Flybe: Bordeaux & Bergerac from Southampton. Bordeaux Airport Follow the Blue Autoroute signs for Toulouse and the A62. Stay on the A62, exiting at Sortie 4, then go through La Réole, then Monségur to Taillecavat. From the South, eg Toulouse Airport, follow the Blue Autoroute signs for the A62, exiting the A62 at Exit 4, then go through La Réole, then Monségur to Taillecavat.